When we think of sleep disorder, we tend to think of insomnia, but there are other sleep disorders that can affect a person’s ability to work, attend school or live a normal life. Your circadian rhythm is your body’s “internal clock,” which signals when you should sleep and when you should wake, as well as other body processes. Normally, this clock runs on a 24-hour cycle, which echoes the Earth’s pattern of night and day. We sleep at night; we are awake during the day. However, sometimes our circadian rhythm becomes disrupted, making it difficult for people to sleep during the night or be fully awake and functioning during the day. Some common causes are going on shift work, pregnancy, time zone changes, medications and changes in routine. Jet lag or rapid time zone change syndrome: This includes excessive sleepiness and lack of daytime alertness in people who travel across time zones. Shift work sleep disorder: This sleep disorder impacts those who frequently have to rotate work shifts or often work at night. They may have trouble adjusting to sleeping during the day and working at night, and this can lead to insomnia. Delayed sleep phase syndrome: This disorder affects the timing of sleep. People with DSPS tend to fall asleep very late at night and have difficulty waking in time for work, school or other appointments. Advanced sleep phase syndrome: With this disorder, a person goes to sleep earlier and wakes earlier than desired. Non-24-hour sleep-wake disorder: With this disorder, a person has a normal sleep pattern, but they live in a 25-hour day. Over time, their sleep cycle is affected by inconsistent insomnia that occurs at different times each night. They may fall asleep at a later time and wake up later, or fall asleep earlier and then wake up earlier. Treatment options vary depending on the type of sleep disorder involved. One of the first steps is ruling out side effects from any medications, as well as any underlying medical conditions. Having the patient keep a sleep diary for one or two weeks is also important. Often, a combination of behavior therapy, light therapy and possibly medication is involved in providing successful treatment. Behavior therapy: This usually involves having the patient maintain regular sleep/wake times and avoid naps. This will help “train” the body to the proper sleep time. Engaging in regular exercise is also key as it will encourage physical tiredness. Patients are also advised to avoid caffeine, nicotine and other stimulants, as well as any intense exercise within several hours of bedtime. 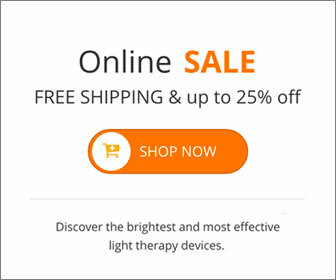 Those suffering from delayed sleep phase syndrome should minimize exposure to light during the evening and at night by reducing illumination in their home, and by avoiding the bright screens of televisions and computers. For those suffering from advanced sleep phase syndrome, the situation is the reverse, with light exposure needing to be increased in the evenings. Typically, patients are advised to keep lights on indoors for a longer period, or to spend more time outside in the longer daylight months. Medication: Medications such as melatonin, or short-term sleep aids, may also be used to adjust and maintain the short-term sleep cycle in order to shift it toward the desired schedule. Melatonin is available over the counter and is a hormone that is found naturally in the body. It promotes sleep and can help with short-term sleep issues. The proper timing of melatonin use varies depending on the condition being treated. Chronotherapy: A behavioral technique in which the doctor works with the patient to gradually and systematically adjust bedtime until the patient is on the desired schedule. This can take one to two weeks to achieve. Bright light therapy: Sleep therapists use bright light therapy to help reset a body’s circadian clock. The patient is exposed to a high-intensity light (10,000 lux) and the amount of exposure is typically for 30 minutes upon awakening. We often joke about not getting enough sleep, but for those suffering from true sleep disorders, this is no laughing matter. A good rest, and being able to sleep and wake on a regular schedule, are keys to our being able to function successfully in the world. Lack of sleep, or lack of a regular sleep pattern, can lead to depression, substance abuse and other mental health issues. If you are suffering from a sleep disorder, do not self-treat. Consult with your physician. Treatment is available. This entry was posted on Tuesday, May 13th, 2014 at 9:47 am	and is filed under SAD. You can follow any responses to this entry through the RSS 2.0 feed.